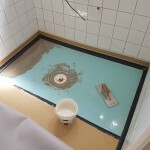 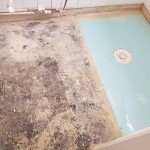 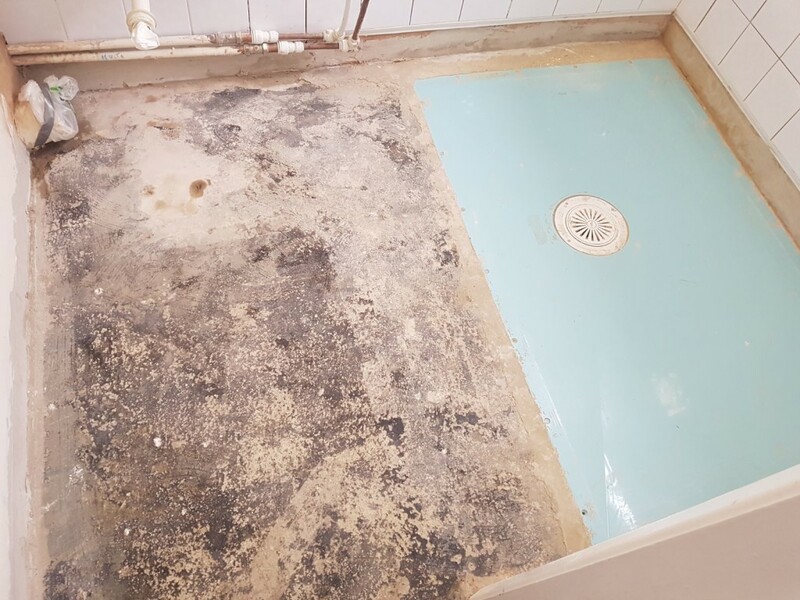 This case study showcases the installation of a wet room floor for a customer in Towcester. 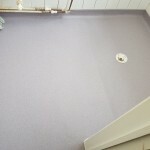 Before we started fitting the flooring we capped and covered the walls where required. 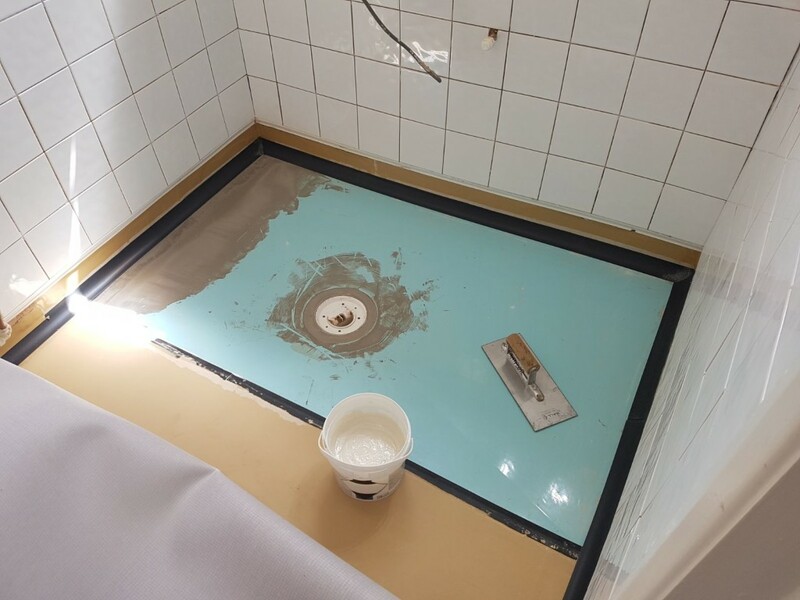 The blue section that you can see in the pictures is a reducing trim that directs water down the plug hole. 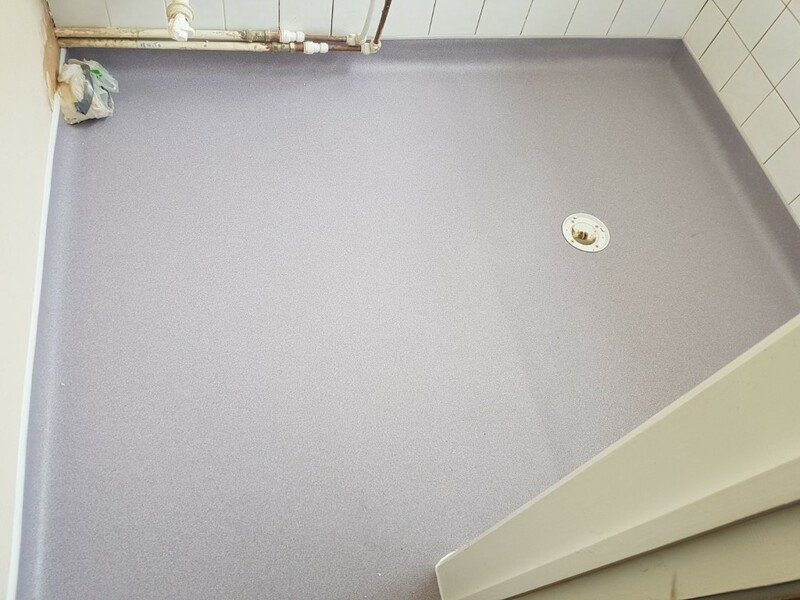 We then installed “Beach Hut” coloured Altro Pices vinyl flooring to give it a clean look.